Coal was the very bedrock on which the town of Whitehaven was built, the trade in coal with Dublin starting after the Dissolution of the Monasteries. Shipping ever increasing quantities of coal to Ireland brought another industry to the town – shipbuilding. In the seventeenth century, the Whitehaven Pottery began, local coal firing the kilns. Coal mining fathered several more local industries, including chemicals, iron ore smelting, glass bottle making, foundries, engineering and even the railways made use of phenomenal quantities of coal. The winning of coal was a costly business in terms of lives lost, with several disasters occurring in the Whitehaven Colliery. Women and young children were employed in the mines, working for twelve hours or more a day. Now, there are few physical traces left of the Whitehaven Colliery: some sites have become housing estates and others have been returned to grass. 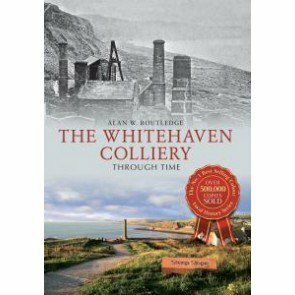 In this book, Alan W. Routledge looks at the history of the Whitehaven Colliery.